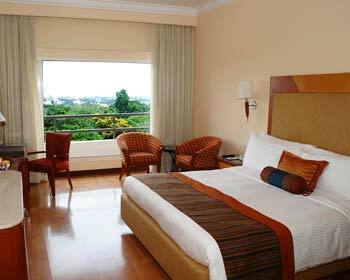 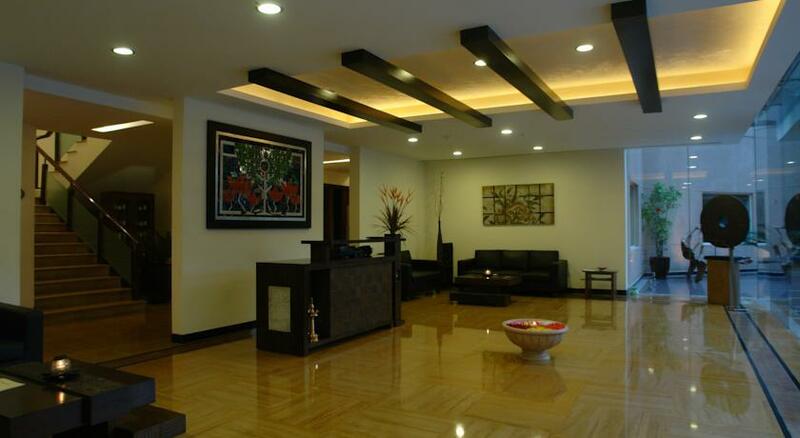 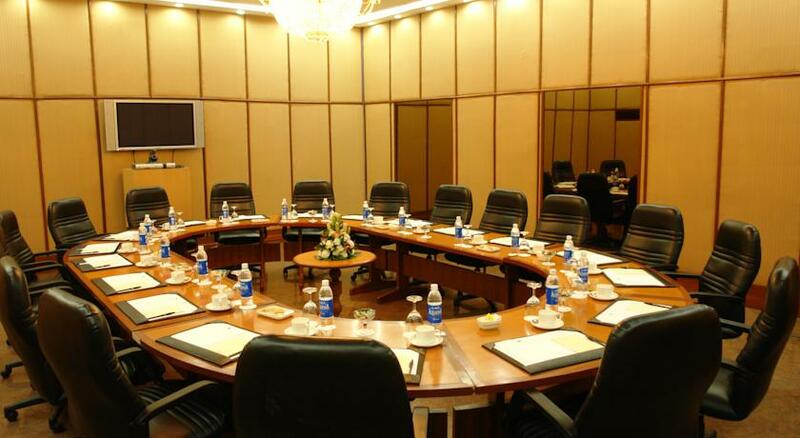 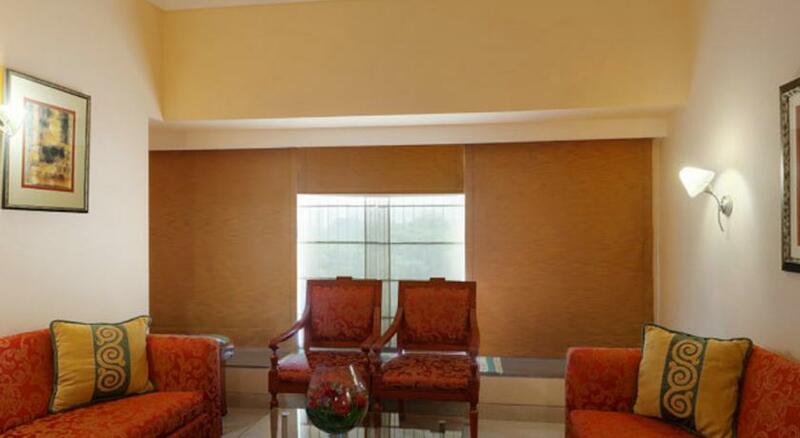 The LaLiT Ashok is one of the best five star hotels located in Bangalore. 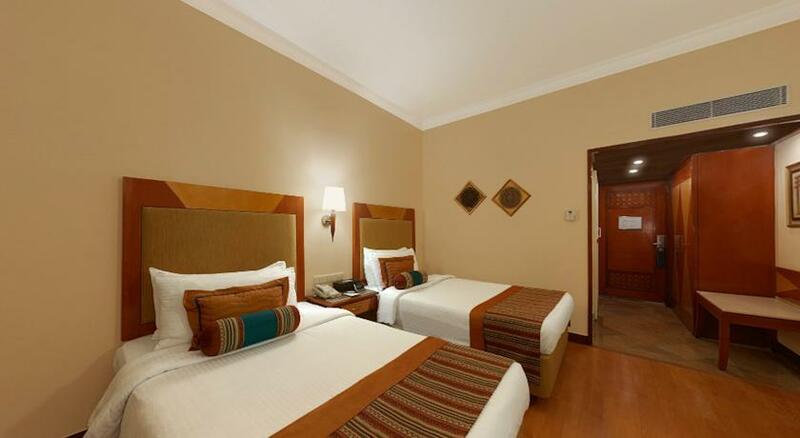 Located at the distance of 3 km from railway station and 32 kms from international and national airport, it is one of the closest five star hotels. 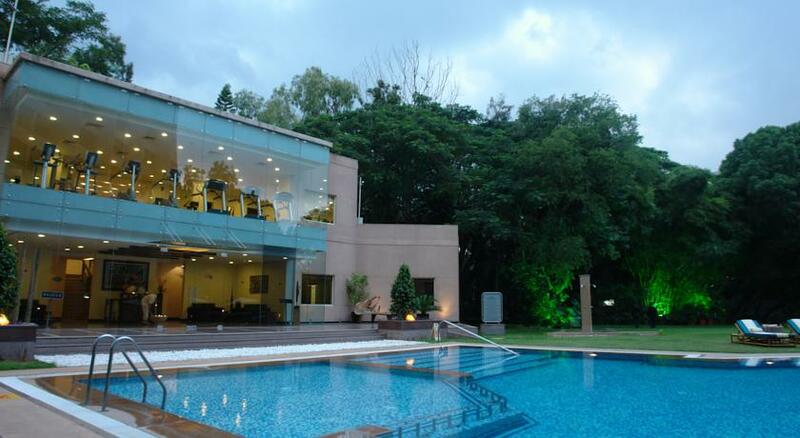 Spread across 10 acres of manicured and landscaped gardens, this five star property is strategically nestled in secured diplomatic enclave offering a spellbinding view of Bangalore Golf Club and sharing one of its walls with Chief Minister’s residence. 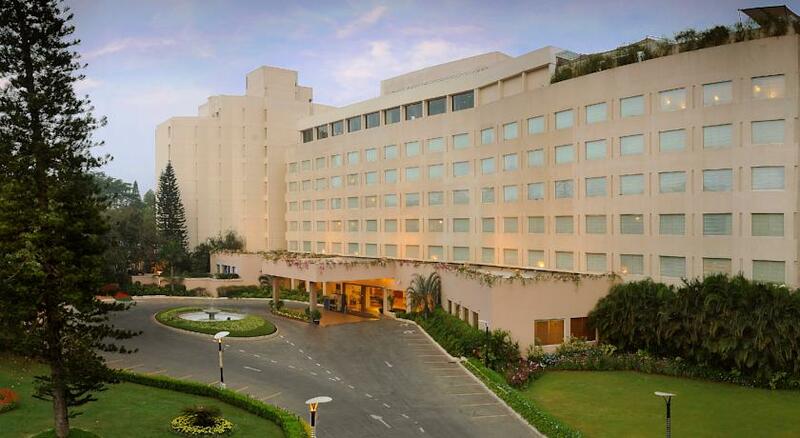 Built in the year 1971, the hotel has been catching the fancy of visitors for more than 35 years. 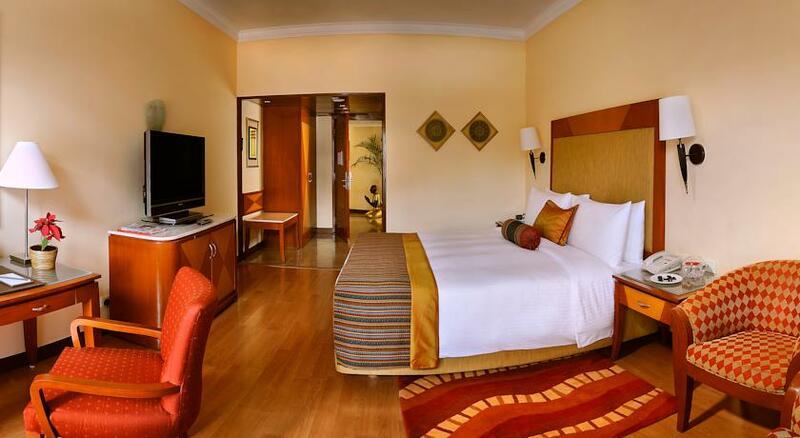 Those who want to experience the perfect blend of luxury and comfort can be assured to get it all here. 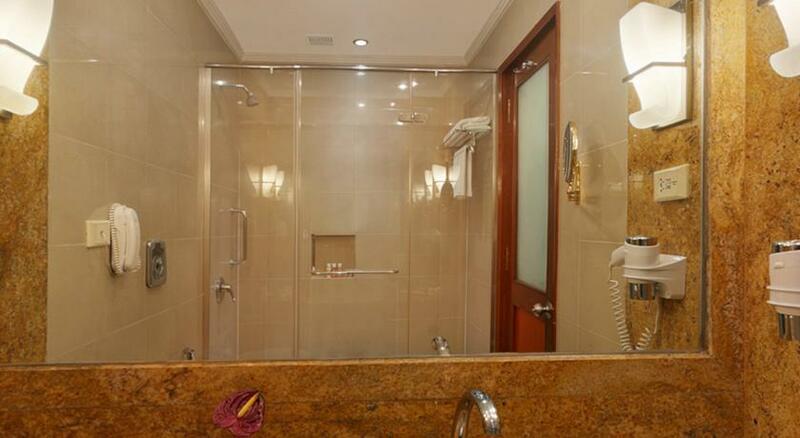 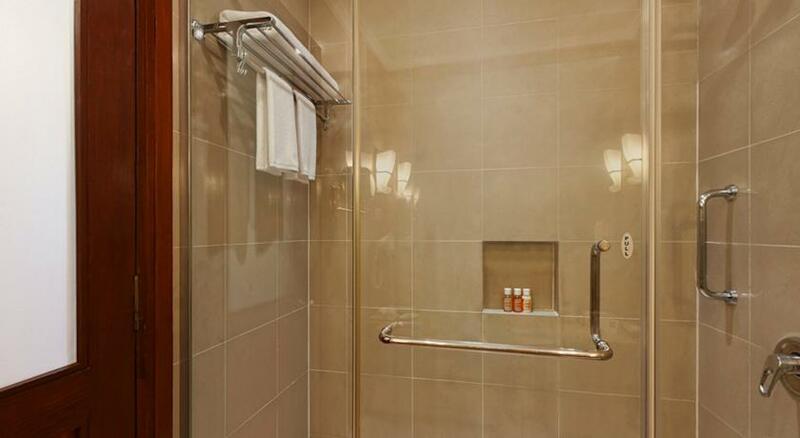 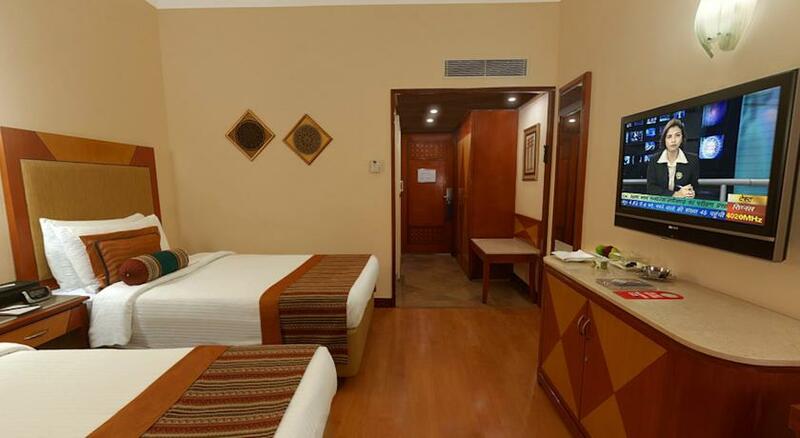 It is the right option for travelers looking for lavish stay. 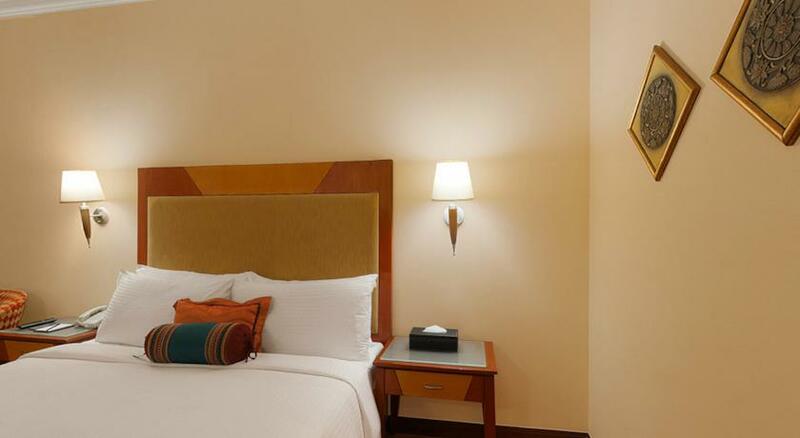 The elegant and contemporary decor when coupled with the latest amenities, technology and services makes for a memorable stay. 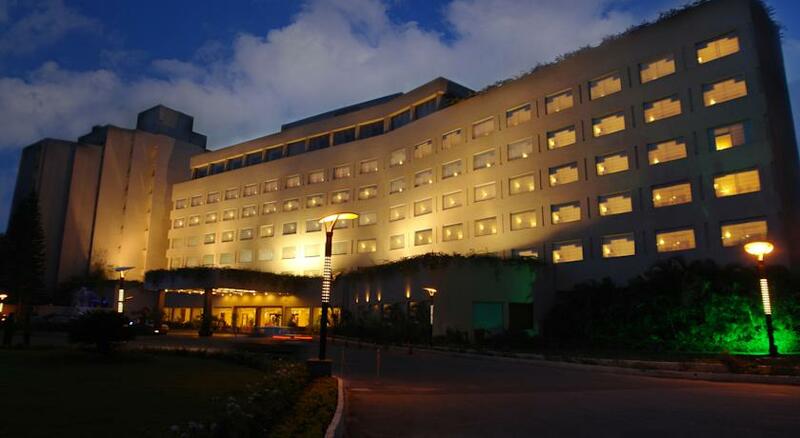 In addition to its location, the hotel is also known for its largest banquet facilities and finest dining options. 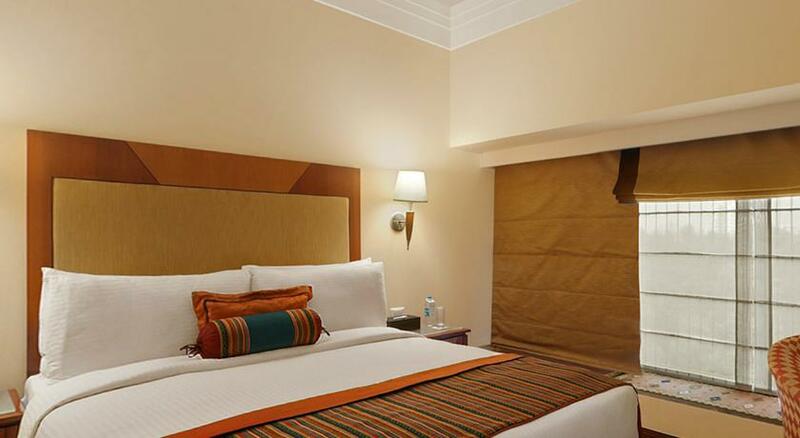 Spread across 8 floors are 184 rooms including suites and large guest rooms, all well-decorated and placed with modern amenities. 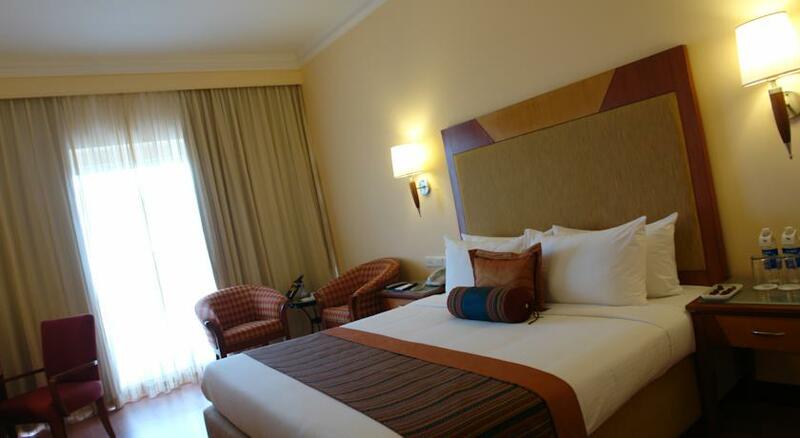 The newly refurbished hotel boasts all that can make your stay simply outstanding. 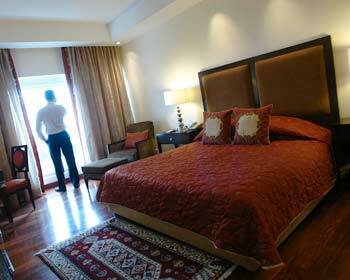 Spread over the area of 270 sq ft, the rooms in this category are the perfect option for hassle free accommodation. 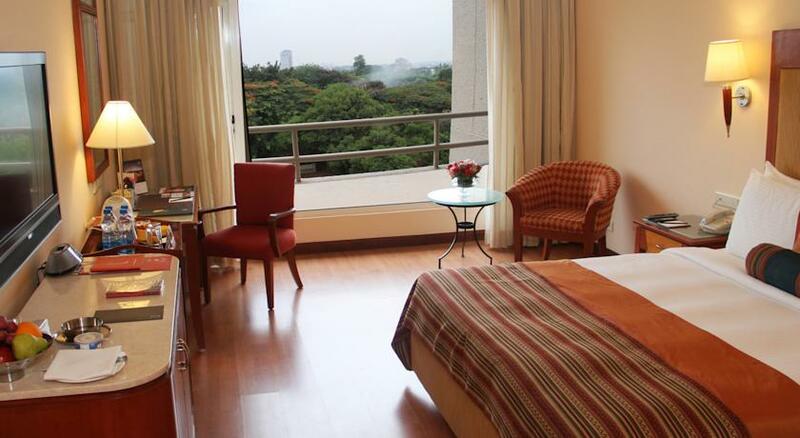 There are two categories in Deluxe Rooms – Pool View and Golf View. 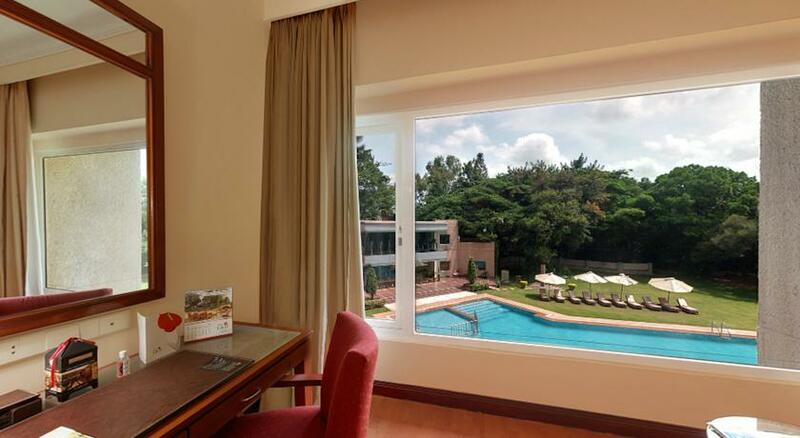 While Pool View overlooks the dazzling waters of the swimming pool, Golf View provides an enthralling view of the golf course. 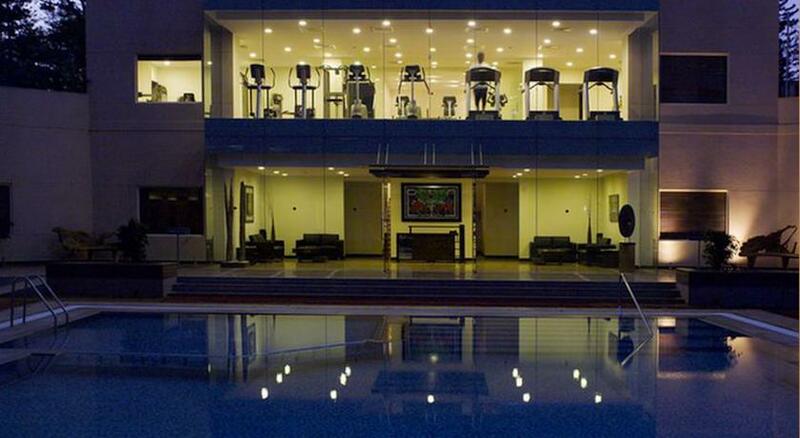 From here you can get pool view. 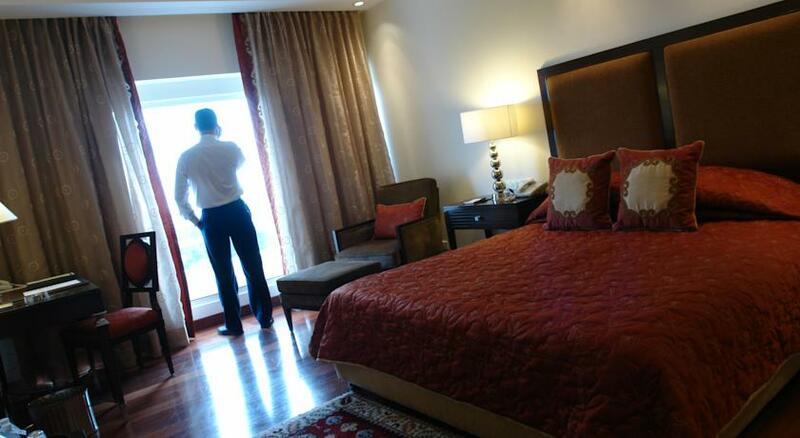 Some of the most common facilities are daily newspaper, coffee or tea maker, Wi-Fi connectivity, complimentary breakfast, a work station, direct dial telephone and 37 inch LCD. 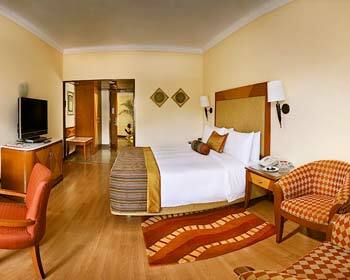 Each room under this category measures 336 sq ft and offers a soothing view of the serene blue waters of the swimming pool. 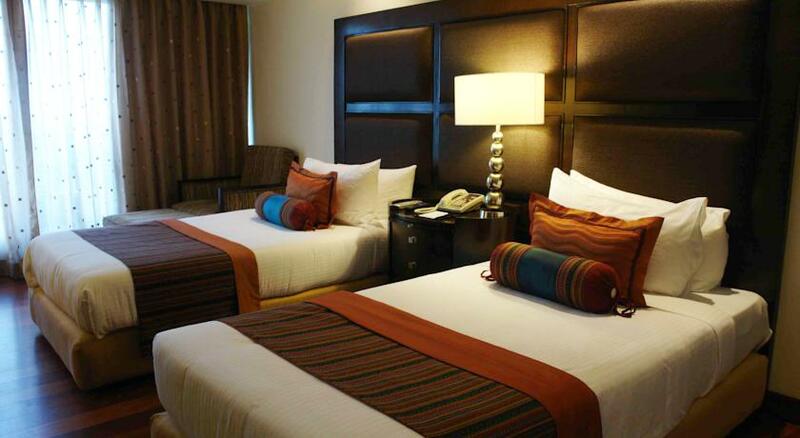 Nothing can beat the comfort that you will get to enjoy when you decide to stay here after a tiring day at work. 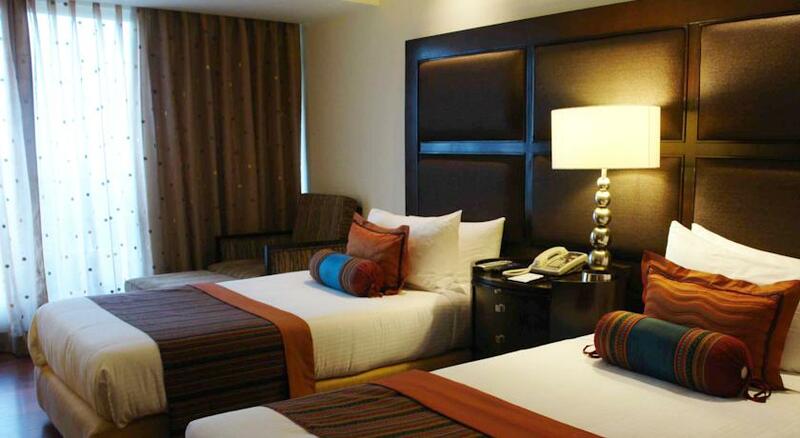 Staying here you can get rid of all work relates stress as the exude Twin or King Size has to offer is second to none. 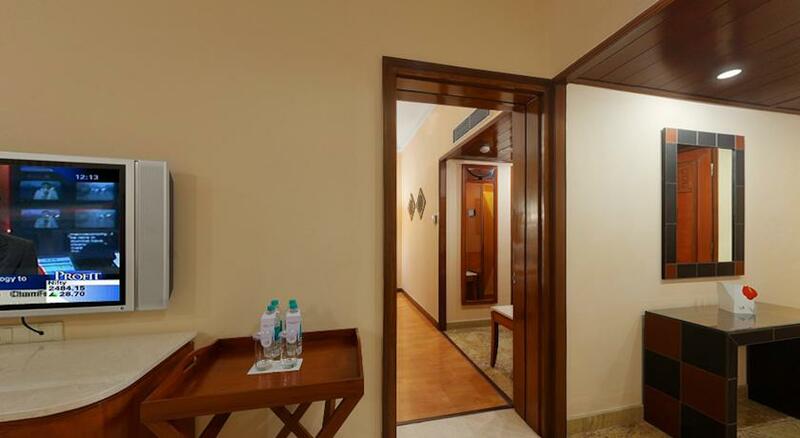 In room safe, mini bar, hairdryer, satellite or cable television, Ironing board, tea or coffee maker, mini refrigerator, personally controlled air conditioning, valet service, internet connectivity, video rental and spate hanging closet are some of the facilities that you will get staying in these rooms. 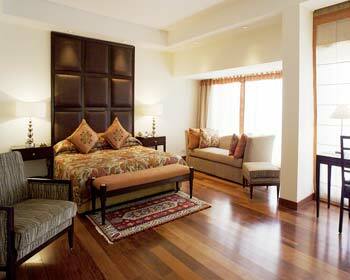 Luxury designed rooms spread over the area of 336 Sq Ft lets you indulge into the experience like never before. 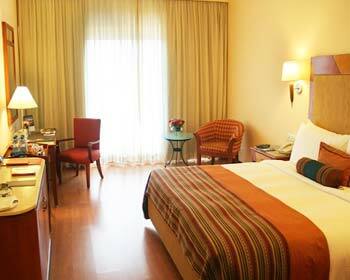 If you are tired after a hectic day then you can easily get rid of stress by staying in these uber-trendy rooms featuring direct dial phone, a 42 inch LCD TV, access to Wi-Fi, complimentary breakfast, In room safe, mini bar, mini refrigerator, phone with voice mail, LC television and turndown service are a few facilities associated with the Lalit Executive Club. 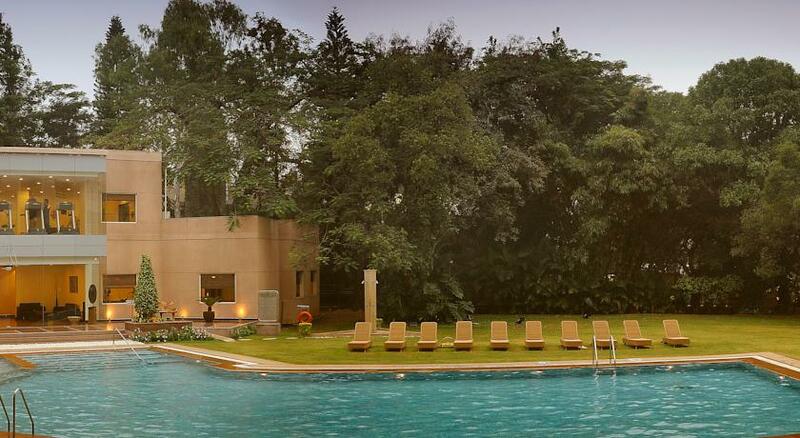 You can enjoy some moments of peace in the private balcony that overlooks the serene blue waters of swimming pool. 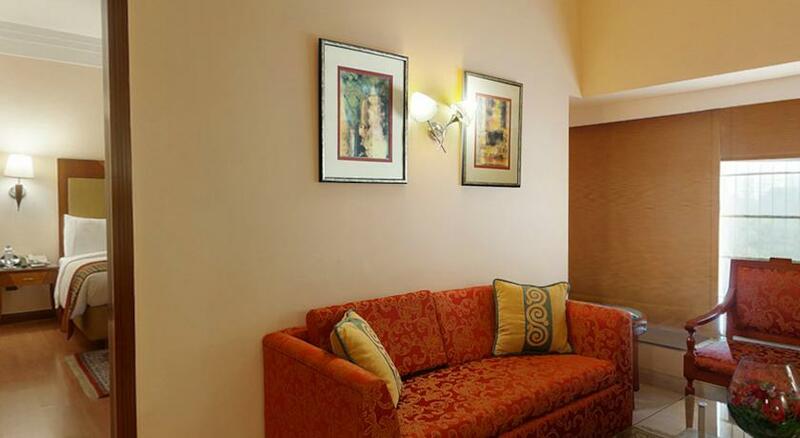 The rooms in this category are spread over 660 sq ft and are well-equipped with latest amenities such as direct dial phone, a 42 inch LCD TV, complimentary continental breakfast, daily fresh fruit platter, in room safe, phone with voice mail, dining table, mini bar, mini refrigerator, valet service and two line phone amongst others are the amenities common to this room. 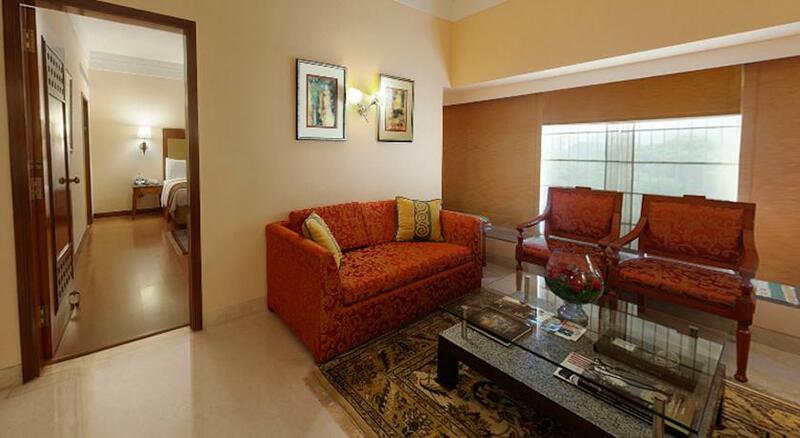 Each suite under this category is spread over 732 sq ft offering an awe-inspiring view of the verdant golf course. 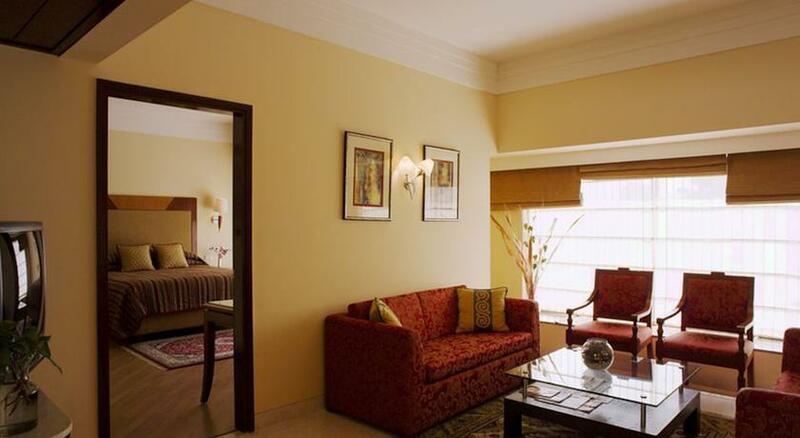 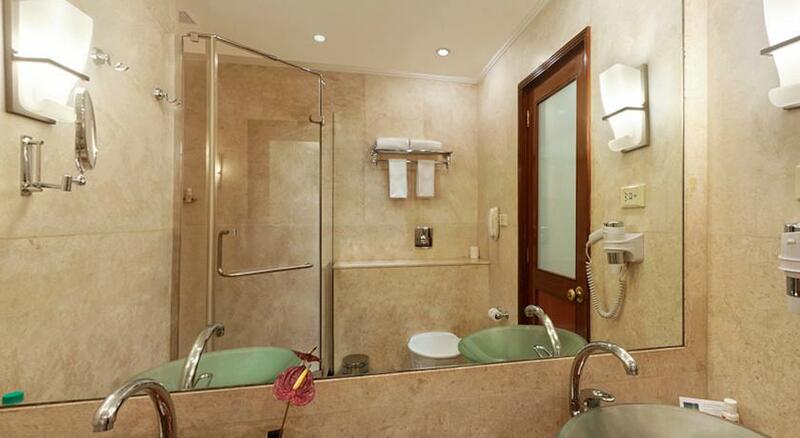 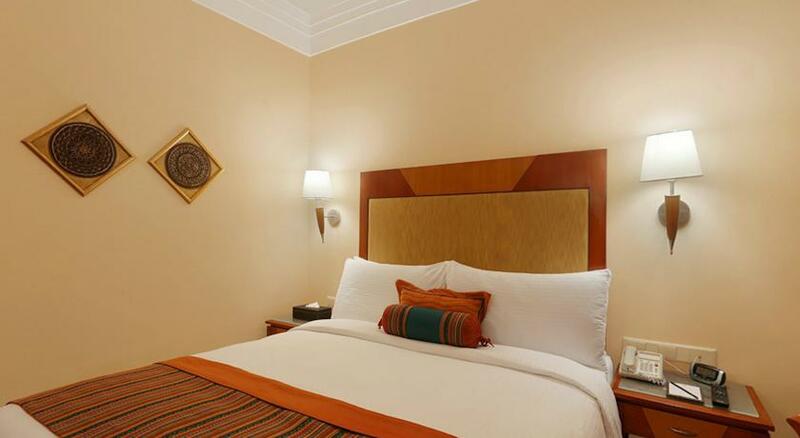 Elegantly designed suites lets you indulge in the ultimate comfort luxury that can make your stay memorable. 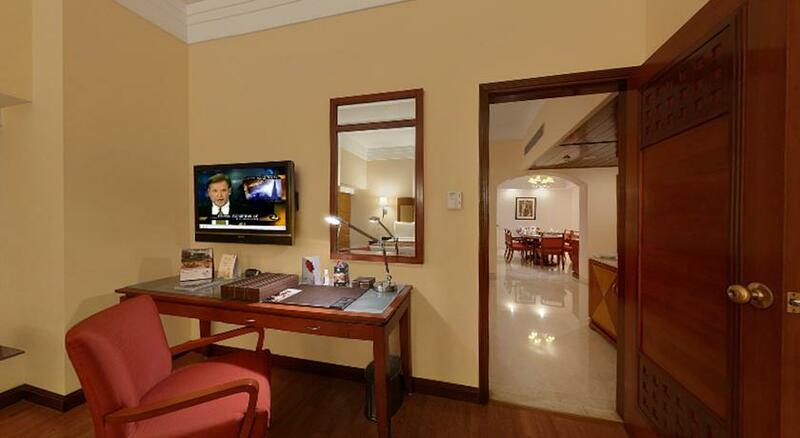 Amenities that you can get staying in these suites are Wi-Fi connectivity, 42inch LCD television, a work station, direct dial phone and work desk with lamp. 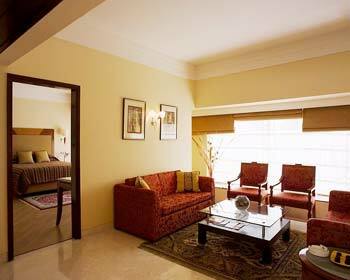 Now these suites are the real epitome of comfort and luxury that give visitors a chance to make the most of their stay. 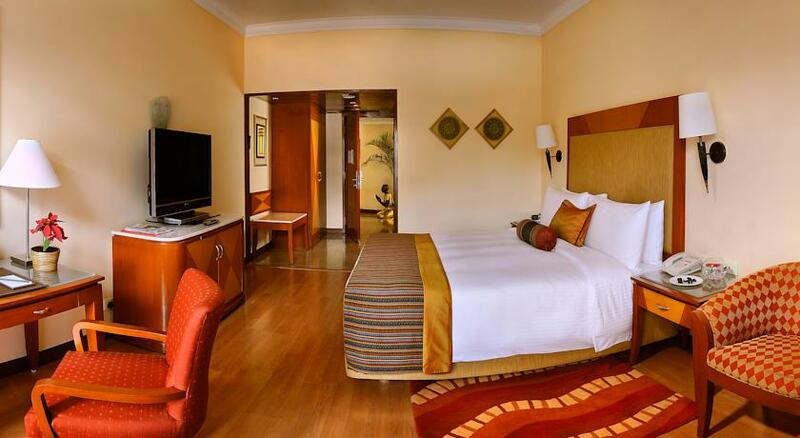 If you want to experience luxury living like never before then rooms under Presidential Suite category makes for the perfect option. 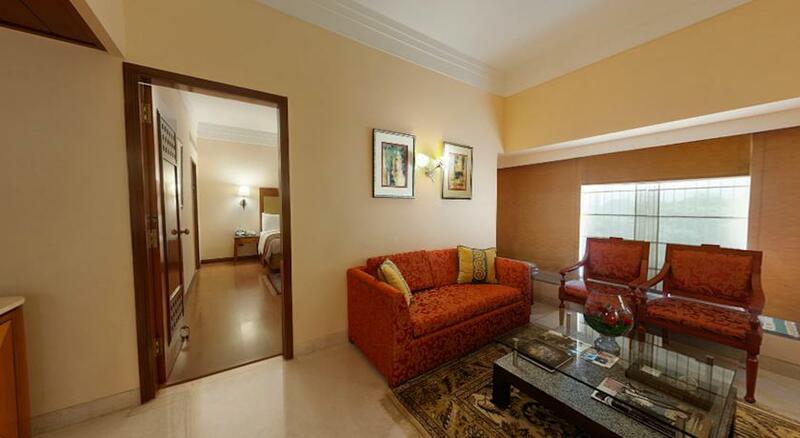 Spread across the area of 1052 sq ft, these suites when coupled with elegance and luxury the right proportion can enhance your stay in the hotel. 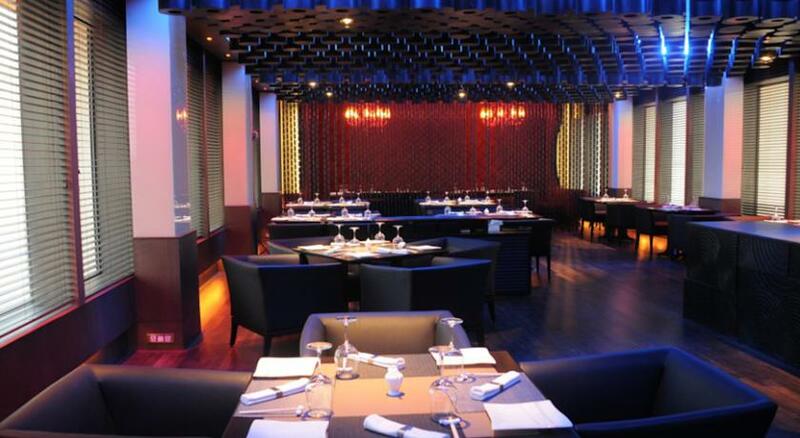 Jazz is the place to be if you are craving for delicious multi-cuisine dishes. 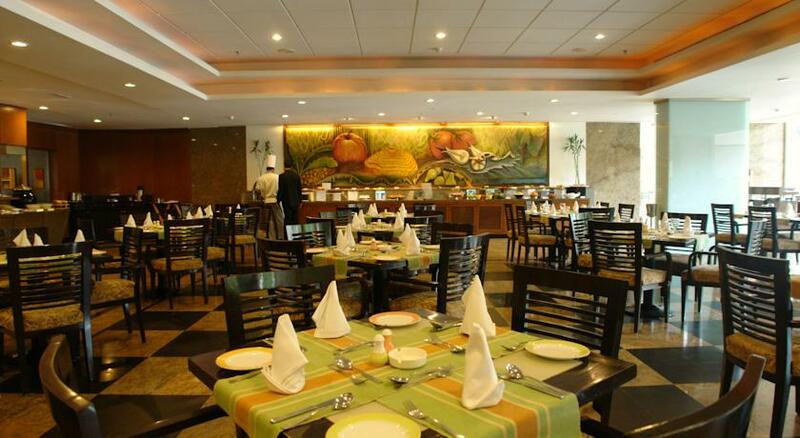 It is a multi-cuisine restaurant that serves to your hunger 24/7. 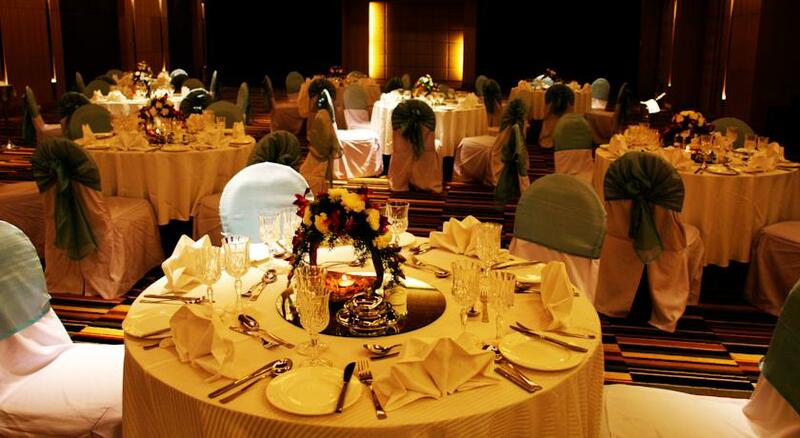 Enjoy buffet and you can interact with other guests as well. 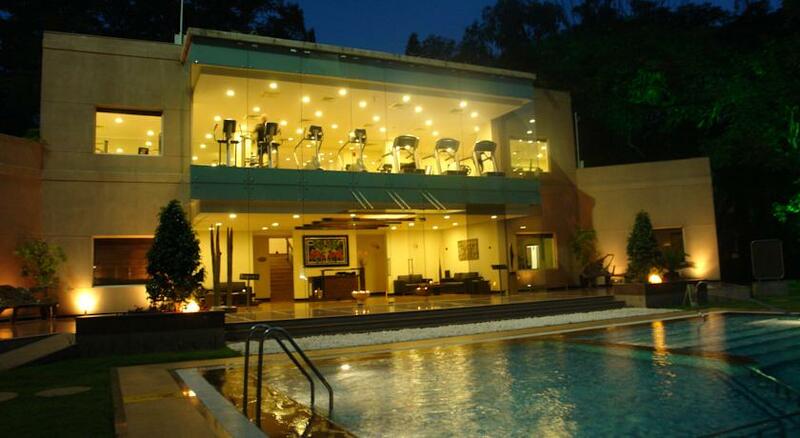 So, whenever you feel like having something mouth watering then drop-in here. 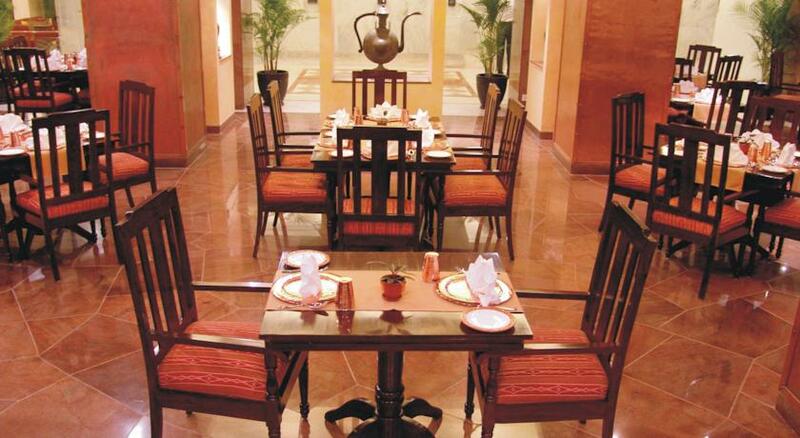 Baluchi, the restaurant transcends you to the bygone times of Baluchistan allowing you dig into some of the most scrumptious dishes prepared by chefs. 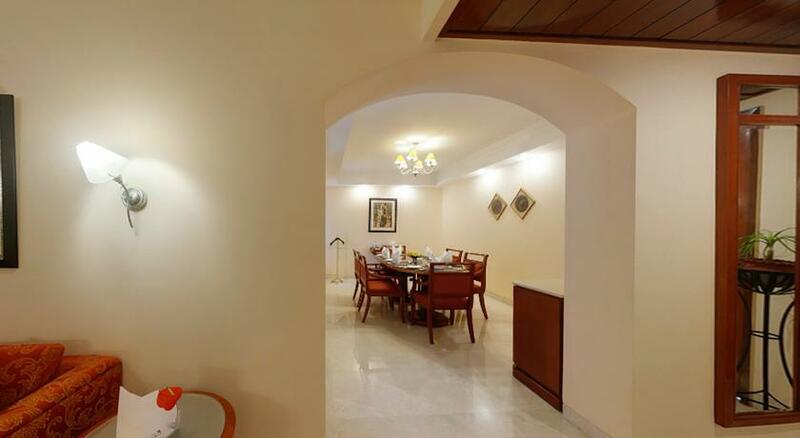 Being the first North West Frontier Restaurant in Bangalore, Baluchi offers some of the finest dining options of Indian cuisine exciting your tangling buds. 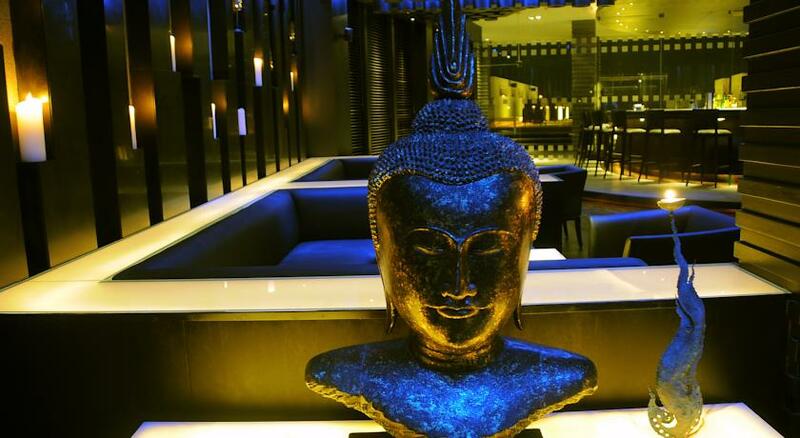 Oko is the place where you will get served with some of the finest Japanese food. 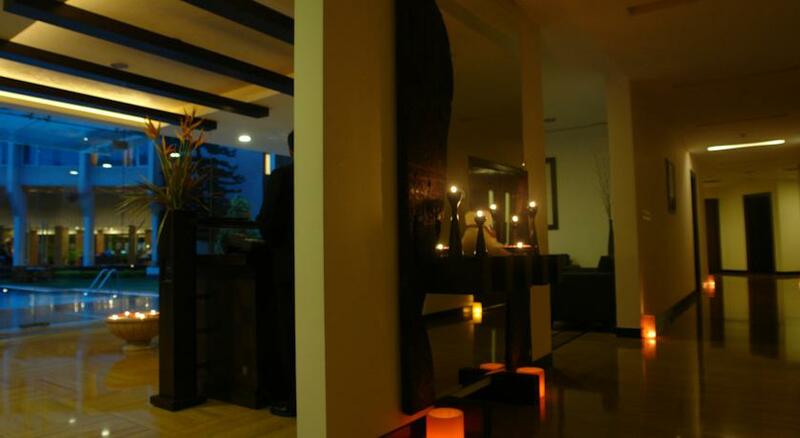 It is a PAN Asian restaurant bringing to guests the most delicious Japanese food. 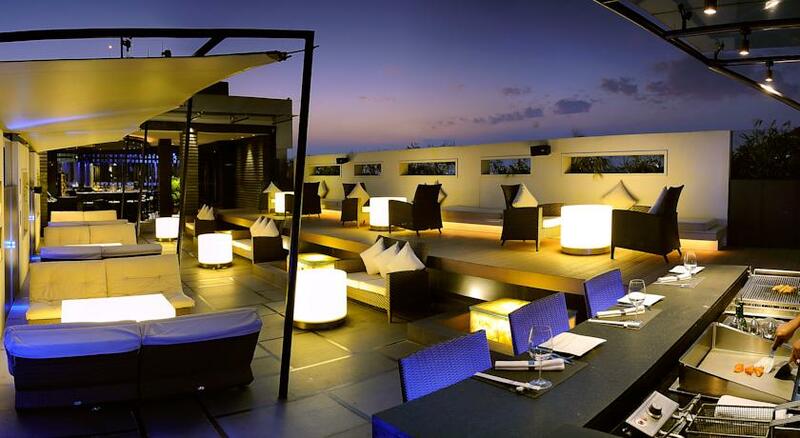 Enjoy your favorite sushi under the warm settings of stylishly done restaurant overlooking the highest tower of the city and lush green golf course. 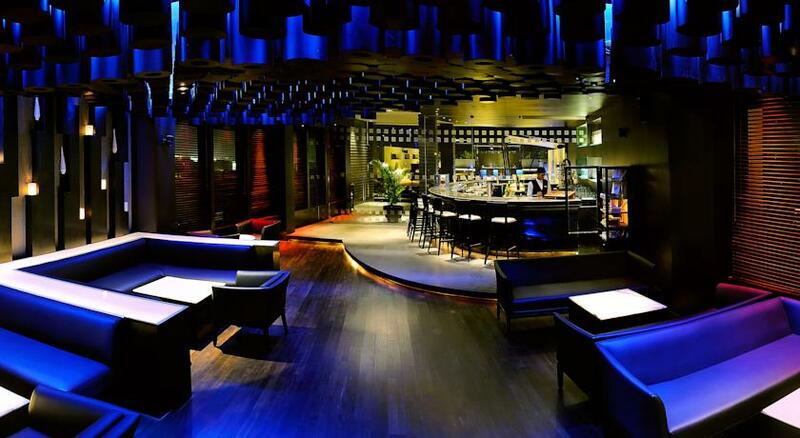 If you are someone who loves partying then without thinking twice head to Sutra – The Lounge! 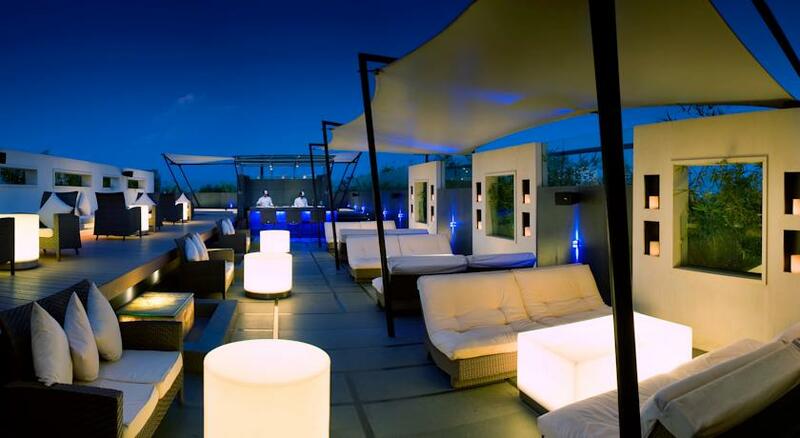 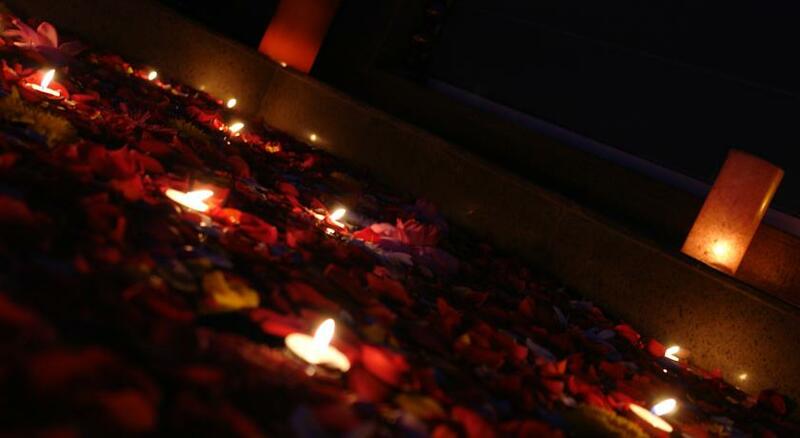 This is the place where night life of city can be enjoyed the most. 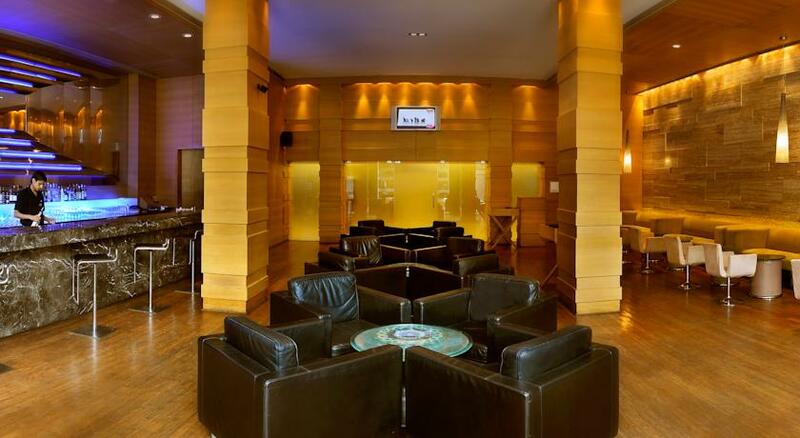 Dance to the beats of peppy music at this ultimate lounge bar and make the most of your evenings.